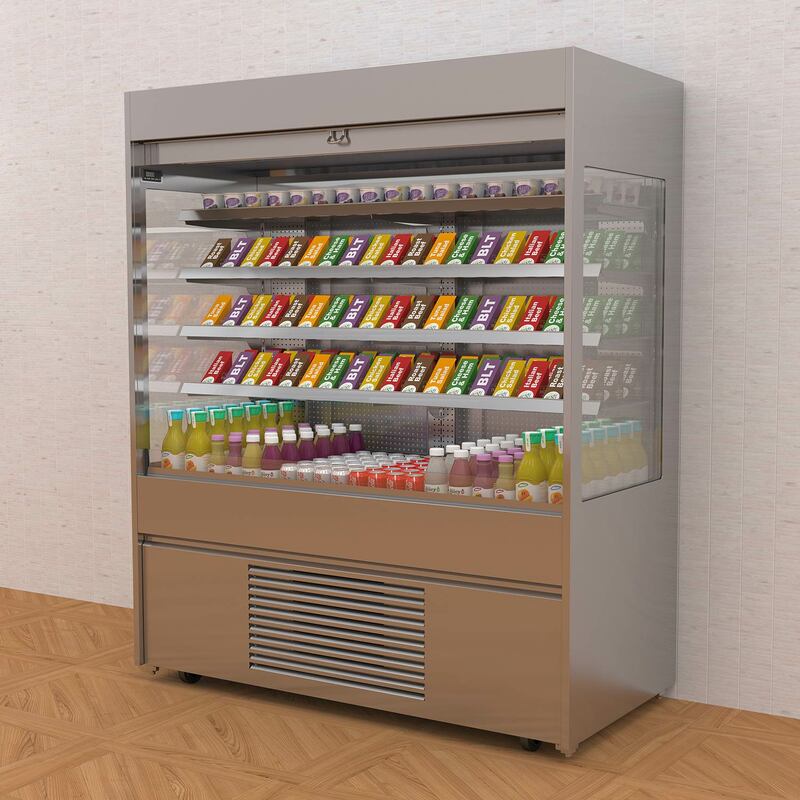 • This display maintains pre-chilled food and drink at a regulated temperature of 3˚C – 5˚C. • Open fronted self help service, to five levels of display. 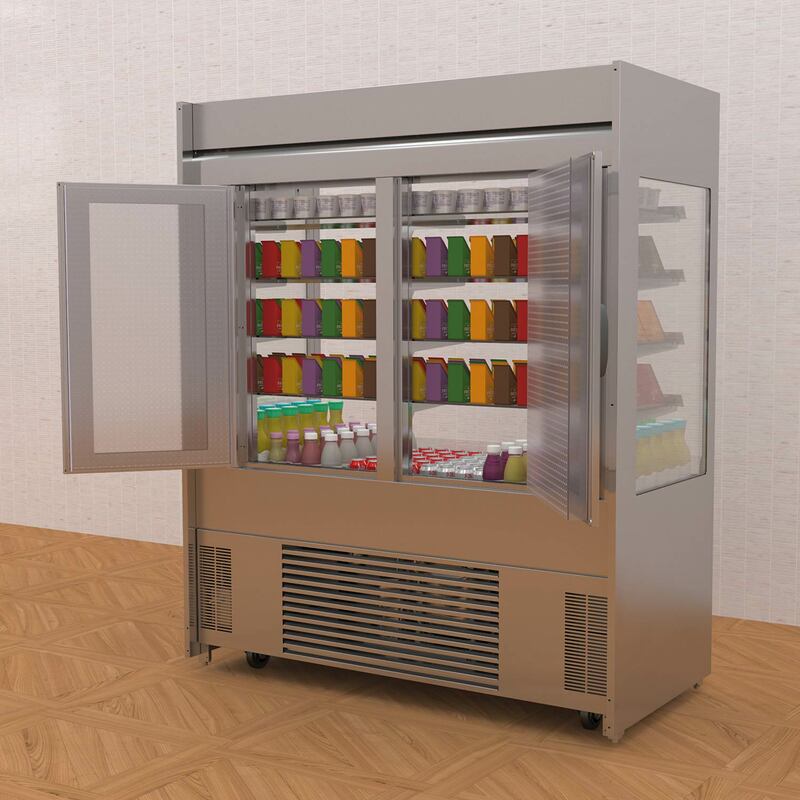 • Ideal for sandwiches, filled rolls, baguettes, salad, pasta, dairy products, cream cakes, smoothies, bottled, canned and carton drinks. • Zero Emission Eco Friendly Hydrocarbon Refrigeration. • Low Energy LED illuminated interior. • Automatic condensate evaporator complete with ECO water level sensor. • Durable castors below with adjustable feet for positioning. • Allowing 24 hour operation. • 3.5m mains lead with 13A plug as standard. • Custom specific branding & design adjustments available.